WordPress is the most popular Content Management System and powers more than one third of all websites worldwide. Because you can build anything with WordPress, it takes more time and skills to create a new website and therefore it’s probably more cost-effective to hire professionals like Bright Blue Gum. With Weebly, a motivated DIYer can easily create a new website in a short time but things may get complicated in the long run when the business grows. 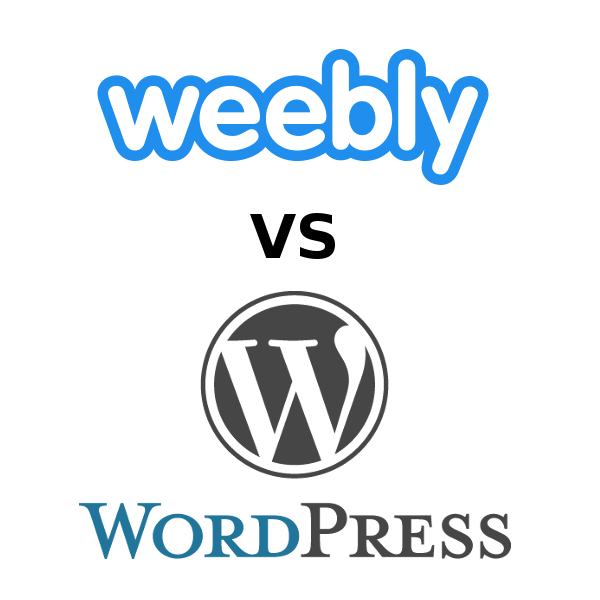 This Comparison between WordPress and Weebly spreadsheet shows both solutions side by side. We’ve tried to stay objective but we’re not Weebly experts. We’ve only compared the Weebly free plan, not the paid plans which offer more features and better support.